THE ‘Prince of Centres’, Reg Gasnier was at his attacking best as Australia defeated France 27-2 at Lang Park in the Second Test, to clinch a first ever home series win over the French. France had won the 1951 and ’55 series and drew in 1960. Gasnier scored three tries through a combination of effortless speed, amazing anticipation and footwork, with all three tries coming in the second half. France dominated territorially in the first half, but could not crack the Australian defence, with lock, Johnny Raper frustrating the tourists time and time again, when it seemed they must score. 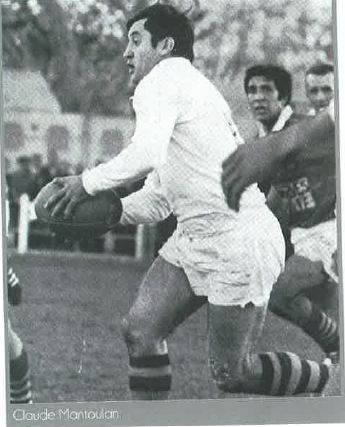 Forwards George Allieres, Serge Stoestiau and halfback, Louis Berge tried every trick in the book to give their team an advantage, but in the end class told. France came into the Test with confidence high after wins over Gold Coast (16-0) at Tweed Heads Recreation Ground, and then the prized scalp of Toowoomba, 28-15. The match on the Tweed featured a number of ugly brawls, with French feet flying, while the Coast boys let their fists do the talking. At one stage the French reserves had to be restrained from running on to the field and joining the fray. The Coast side was comprised mainly of players from the strong Tweed League, among them halfback, ‘Sailor’ Woolridge from Mullumbimby; goal kicking forward, Des Scott and lightweight lock, John O’Reilly, both from Murwillumbah, with O’Reilly tackling himself into the ground. In Toowoomba, second rower, Dennis Manteit and prop, Mick Veivers were outstanding for the Clydesdales, but there was little penetration from the local backs. The star of the game was French centre and captain, Claude Mantoulan, from the famous Catalans club, who scored a try and kicked five goals. Jan Villeneuve from the Albi club had the goal kicking role in the Test, and scored the tourists’ only points – a penalty goal. France, beaten 20-6 in the First Test in Sydney, also lost the Third Test in Sydney – 35-9. Great web site Steve and fantastic concept. Congratulations. Will be sure to check back regularly and indulge my passion for rugby league (which perhaps doesn’t quite match yours).